It becomes easier when you share your problems with others. Many of us still feel uncomfortable when sharing our sins with a priest. 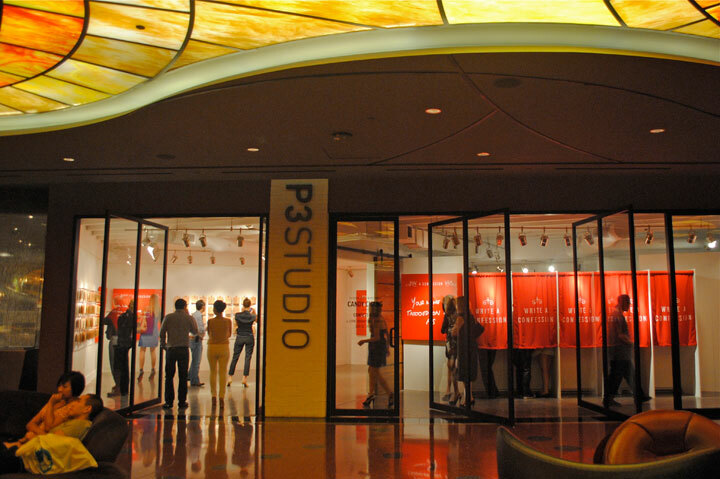 So Candy Chang, an Artist-in-Residence at The Cosmopolitan in Las Vegas found a solution. 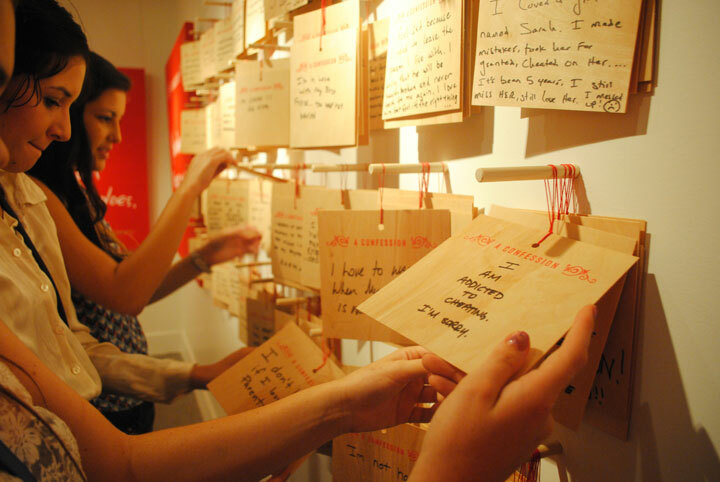 She turned a P3 gallery into a contemplative place for people to anonymously share their confessions. So there are confession booths out there. You simply avow your sins. 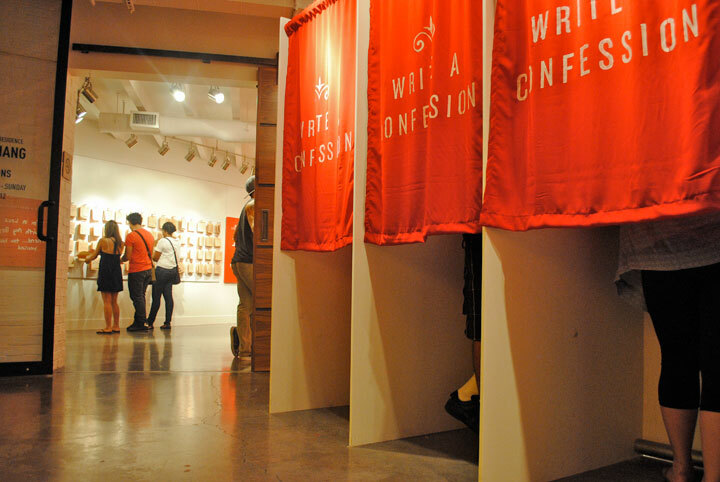 Chang then selects favourite confessions and everyday paints them on canvas open to public. 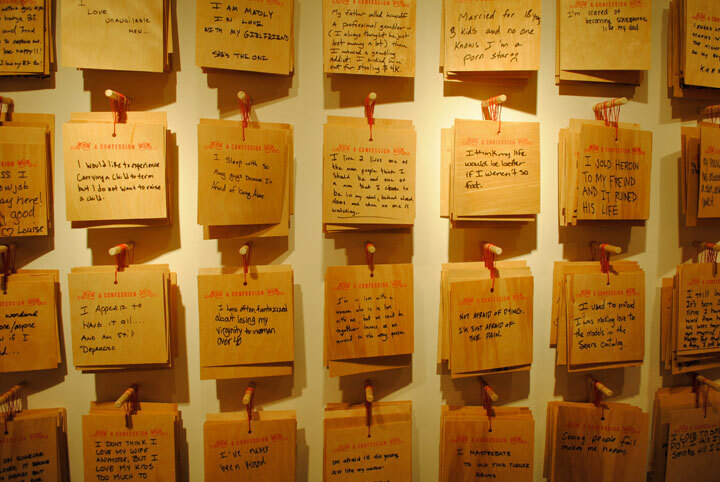 At the end of exhibition there were around 1500 of confessions published on the walls. There is another thing called catharsis originally used by Aristotle. Candy Chang had an idea to make a cathartic sanctuary too. It is a place for us to confess our sins and become imperfect priests to listen to other’s. It is believed that unburding to someone not only helps the speaker, but the spectator too. It is thought that when listening to a confession, the listener starts to think about his/her life and so resulting release of bad emotions.